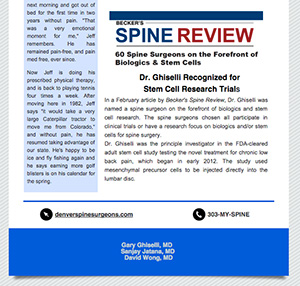 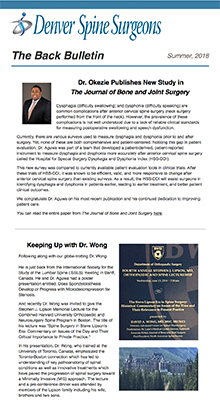 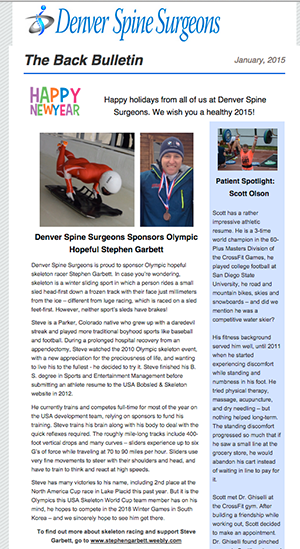 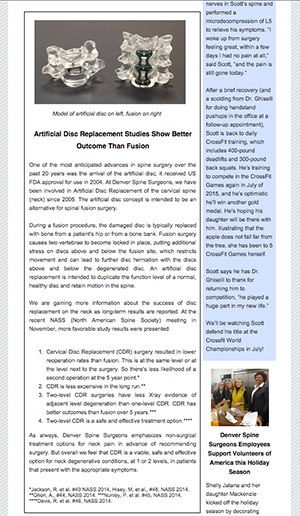 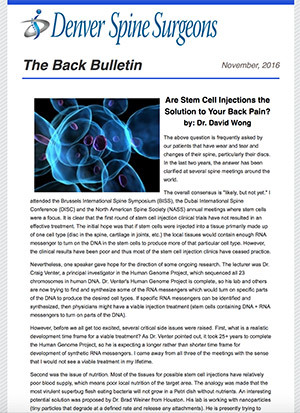 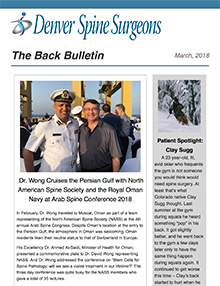 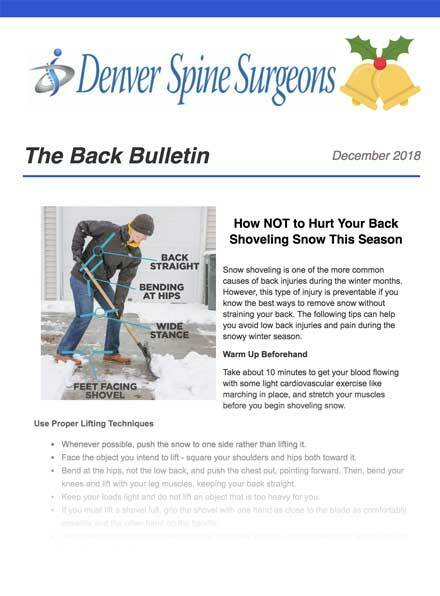 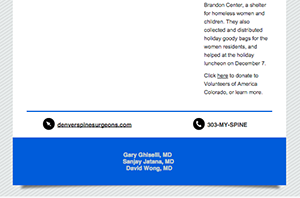 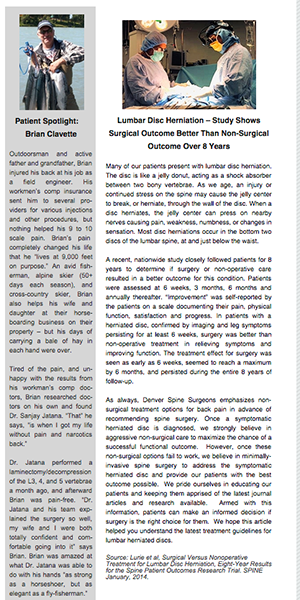 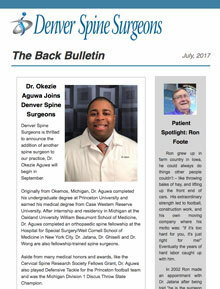 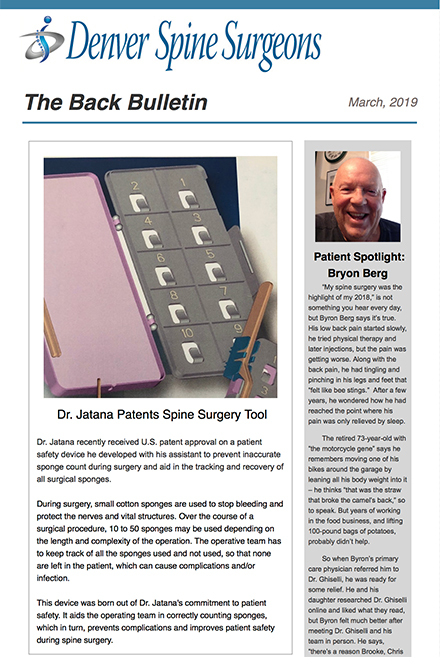 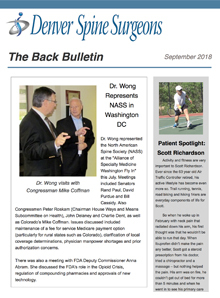 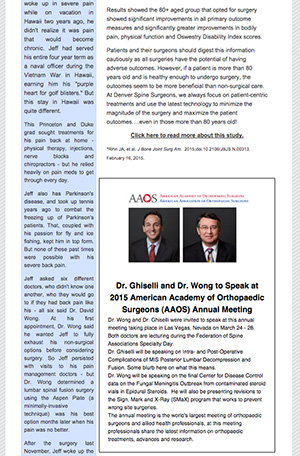 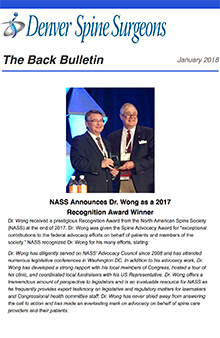 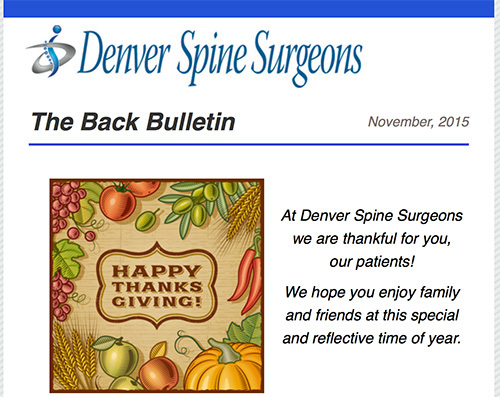 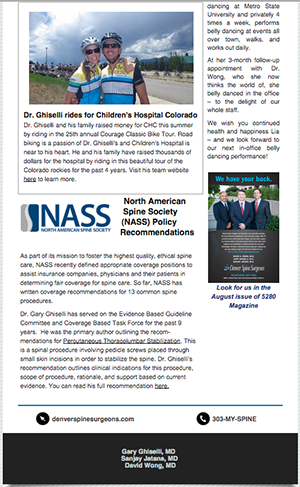 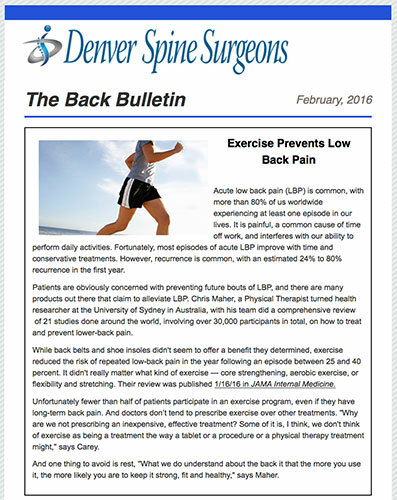 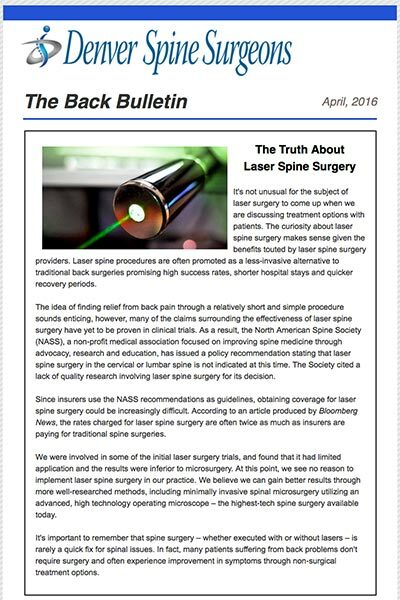 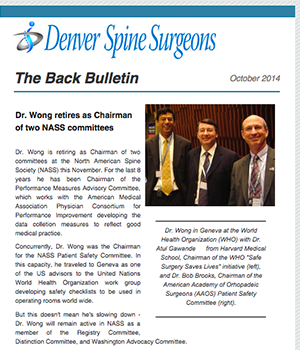 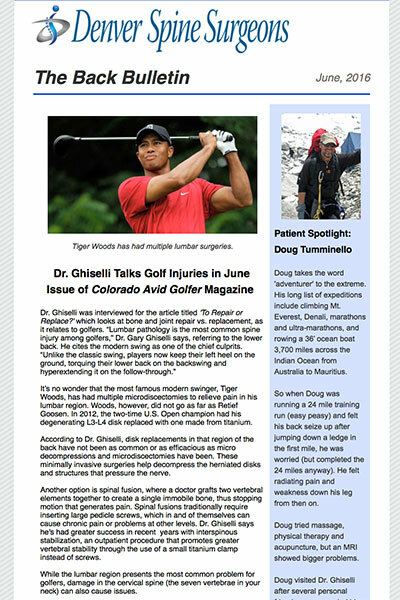 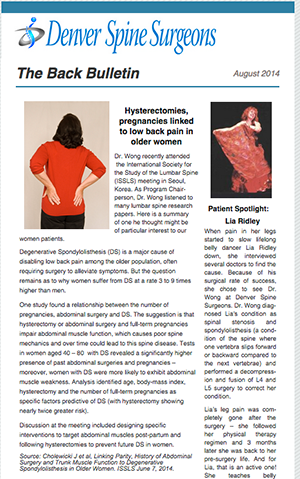 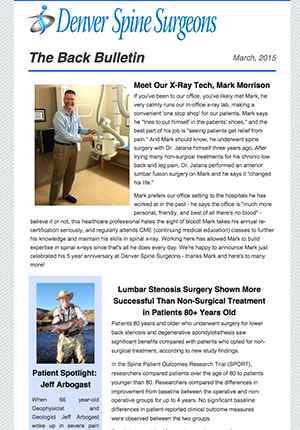 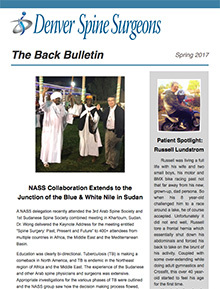 Denver Spine Surgeons "The Back Bulletin"
Are Stem Cell Injections the Solution to Your Back Pain? 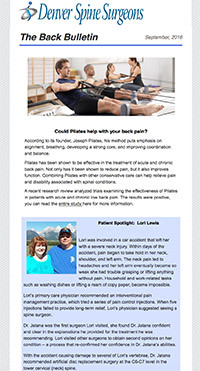 Could Pilates help with your back pain? 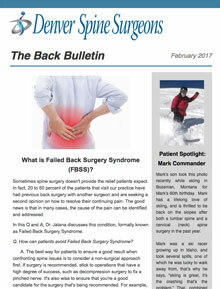 Download our symptom chart for back and neck pain and learn about "red flag" symptoms.